Following our development work this month, we've got several nice new features available to our users. Let’s check them out! The first eye-catching feature is the custom 3D objects. Our Kickstarter backers with Titan or Publisher pledge levels will automatically gain access to this feature. 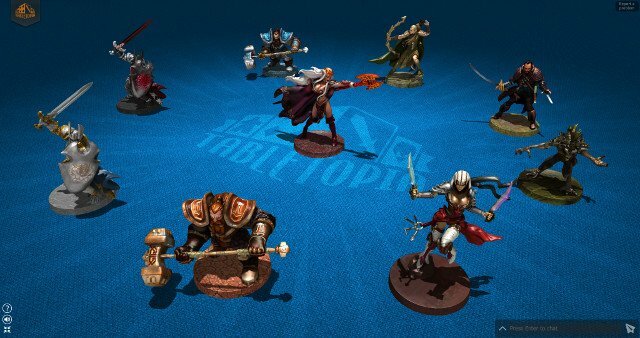 Custom 3D objects can drastically change the look of every board game. Look at these vivid miniatures we have created for Sword & Sorcery – Immortal Souls from Ares Games. 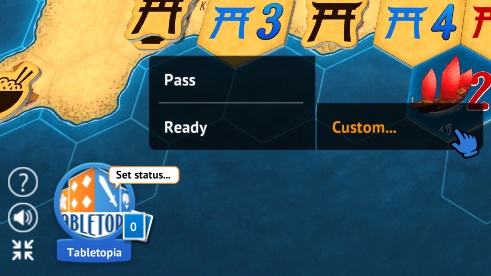 You can start creating your 3D objects right now, but note that there are some restrictions to your models, which you should take note of in order to get the best results in Tabletopia. 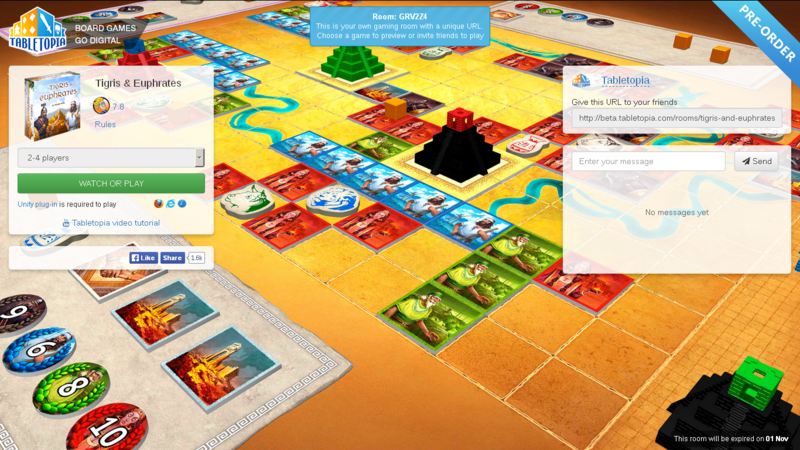 Check this article for more details of 3D objects in Tabletopia. The next feature is our new vertical tokens. 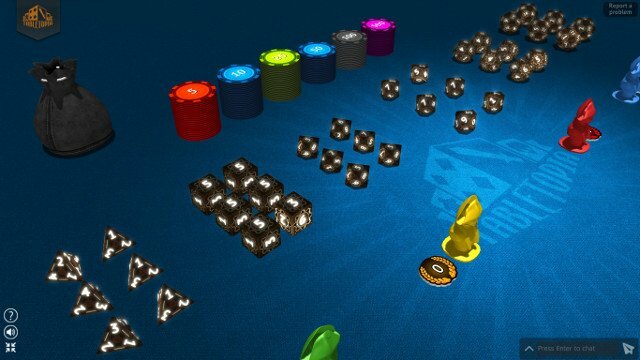 If you are not able to create complex 3D objects, but need some figures or meeples in your game, then these vertical tokens could be for you. Earlier, it was possible to create horizontal flat tokens with any shape and thickness. Now we have added a vertical variation of such tokens. Take a look at these Castles from Eight-Minute Empire: Legends published by Red Raven Games. In addition to creating one-color tokens, you can also place any picture on the front and back of the token. There is an article about the available types of tokens in our Knowledge base. If you are interested, please take a read. Another new feature is custom dice with a different number of sides — from d4 to d20. We have also upgraded our standard d6! It is now possible to change the size of a die or add some nice visual effects, including glow. As usual, more information can be found in the Knowledge base. Our new Game lobbies are places where players can meet and chat, while waiting for other players to gather for a game. Game lobbies show all the required information, including a link to the rules of the game. You might have already seen one of these lobbies during our Kickstarter campaign. All players can now set their status during the game using short text messages. Your status is seen by all players and it is sometimes better to set a status 'Pass' or "Ready' instead of using a voice chat. Also, you can add and set your own status, e.g. 'AFK 5 min' if you are going to get away from computer for about 5 minutes. Many users asked for an easy way to place a card under a deck. So we have added two useful features at the same time — you can now place a card onto the bottom of a stack, or take a card from the bottom of a stack. Even more, this feature can also be used with tile and token stacks. Just hold the Shift key while taking/placing an object from/to a stack. Last, but definitely not the least feature is the Hidden zone, which makes it possible to hide a player’s components from other players. 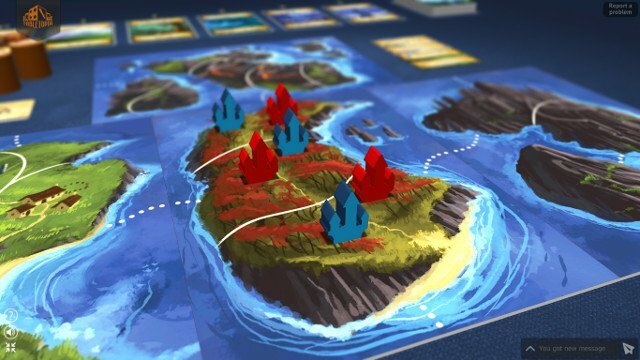 The Hidden zone in Tabletopia can be used instead of a screen from a real board game. Now it becomes very easy to make an initial hidden setup for each player or keep some secret components, which can not be taken into your hand. 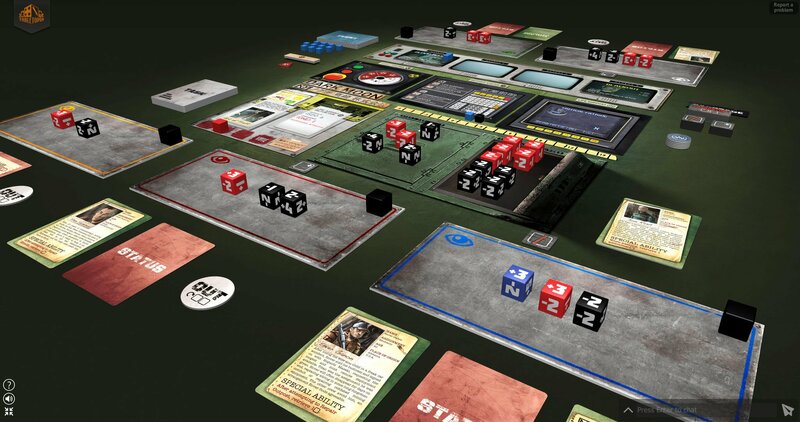 Hidden zone is still in a testing phase and it is not available to our game designers yet, but you can see it in action in the demo of Dark Moon from Stronghold Games. There are many new features scheduled for next month. Stay tuned and don’t forget that you still can use our pre-order page (until November 1st) to get access to the system or add additional pledges.